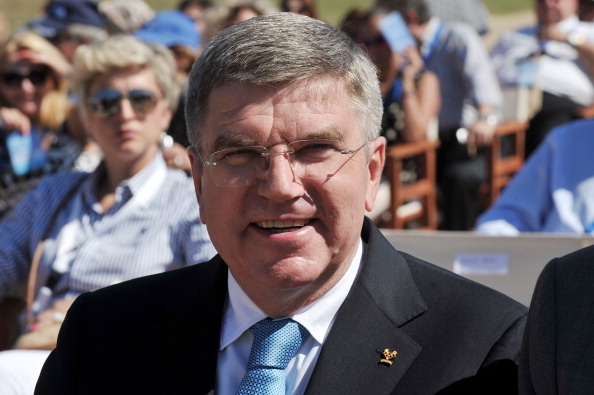 International Olympic Committee (IOC) President Thomas Bach has been named among those honored at the fifth Mohammed Bin Rashid Al Maktoum Creative Sports Awards today. The German 1976 Olympic fencing gold medalist, who succeeded Jacques Rogge in September, was named International Sports Figure of 2013 at the meeting at the InterContinental Hotel Dubai, while fellow Olympic champion and IOC member Nawal El Moutawakel of Morocco won the Arab Sports Figure that has contributed to the enrichment of women sports award. Also among the 16 winners were Asian Football Confederation (AFC) President Sheikh Salman Bin Ibrahim Al Khalifa, who took the Arab Sports Figure award, and General Women’s Union and Supreme Council for Motherhood chair and Family Development Foundation supreme chair Sheikha Fatima Bint Mubarak, named Local Sports Figure of the Year for the United Arab Emirates. Meanwhile, FIFA won the International Organization – International Category Award; Qatari Mutaz Essa Barshim won the Arab Athlete Award after securing a silver medal in the high jump at the 2013 World Athletics Championships in Moscow; and Egypt’s Al Ahly football club took the Arab Team Award after claiming their eighth African Champions League trophy. The winners of the award, sponsored by Crown Prince of Dubai and Dubai Sports Council chairman Sheikh Hamdan Bin Mohammed Bin Rashid Al Maktoum, were announced by a team that included Board of Trustees chair Mattar Al Tayer, Board member and President of the jury Mustapha Larfaoui, secretary general Ahmad Al Sharif and award director Nasser Aman Al Rahma. “The award’s fifth edition was marked with the participation of 226 files [nominations] for athletes, teams and foundations, indicating increment in quality and quantity of participants,” Al Tayer said. “The participation of International Sports Federations has exceeded the 93 per cent mark despite the fact that the award is still only in its second year on the international level. The winners are due to be presented with their awards at a ceremony at the Sheikh Rashid Ballroom, Dubai World Trade Centre, on January 6, 2014.